After years of speculation, Mercedes-Benz has finally revealed its Formula E contender. Well, sort of. 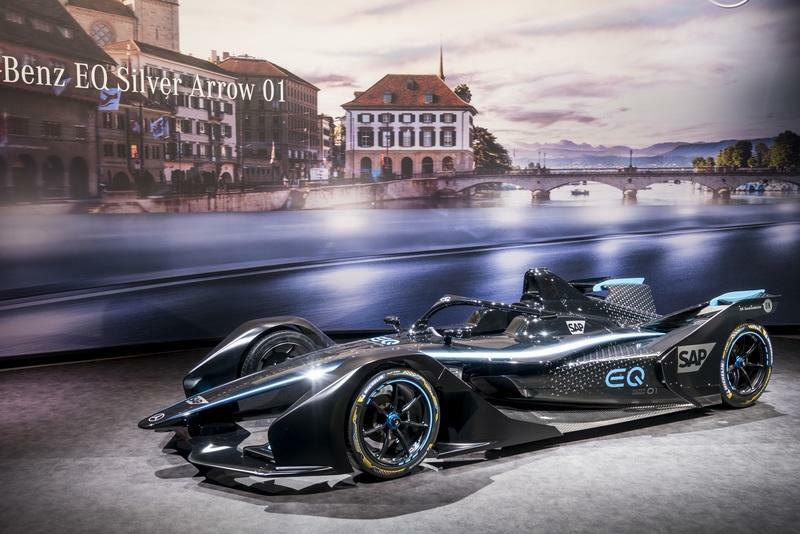 The German manufacturer presented in the eve of the 89th Geneva Auto Show the EQ Silver Arrow 01 wearing a ’concept livery’ that is, as you can see, lacking an important element: silver. Rest assured, though, the final livery that "will be presented at a later stage ahead of the [2019/20] season opener" will undoubtedly feature some silver. Here’s an odd one: Mercedes taking the wraps off its first electric silver arrow racer that ominously lacks any trace of silver. That’s like Ferrari debuting next year with a blue car in Formula 1. What’s more important, though, than an interim livery is what Mercedes is conveying by officializing this move. The automaker from Stuttgart left, to the dismay of many, the DTM at the end of the 2018 season after a 30-year-long involvement in the series to focus on showcasing its electric prowess on track in the world’s top arena: the Formula E. The works Merc team will debut next season, which will be the sixth in the history of the championship, and the program will be run by HWA who ran the DTM cars in the last few years and, intriguingly, will operate the new Aston Martin DTM cars this season as well from behind the scenes. Update 04/03/109: Mercedes has taken the Mercedes-Benz EQ Silver Arrow Formula E racer to the track to perform some in-depth testing. Check out everything we know in our special testing section below! 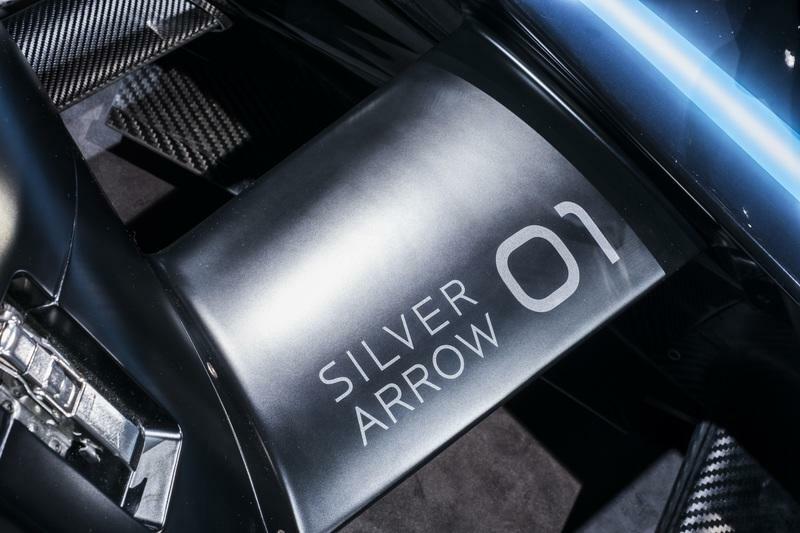 It’ll still be a while before the Silver Arrow 01 officially makes its race debut, but there’s no doubt in our minds that MB will be more ready than ever. The body of Mercedes’ official Formula E challenger is menacing but this is just the ’concept livery’ used for the launch of the program. The final livery will be different. 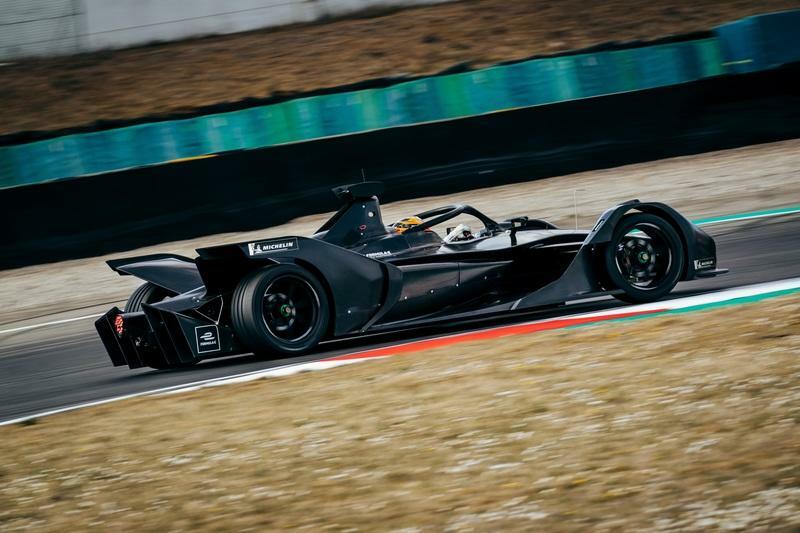 The talk around livery designs is particularly important in Formula E because in the world's premier electric single-seater series the bodywork cannot be modified by the entrants. Each car, as a result, looks the same which is why the only way to stand out is through a bold livery. Audi’s contender for season number five, that’s already underway, combined the green of main sponsor Schaeffler with black and white and some hints of yellow around the nose cone where the DHL logos are displayed in full view of the cameras that feed live images of each and every race meeting. The Audi E-Tron FE05 is as important a car for Audi as is the EQ Silver Arrow 01 for Mercedes-Benz. Audi had been involved in a semi-official quantity since the series’ first season that spanned between 2014 and 2015 through the ABT outfit but only entered the championship as a full-blown works team in the season that began in December of last year. Similarly, Mercedes-Benz is already testing the waters in FE by supporting the HWA Racelab team that runs a pair of Spark-built Venturis for Belgium’s Stoffel Vandoorne that’s been recently sacked by McLaren and ex-DTM star Gary Paffett. Both had a particularly tough start to their campaigns, each marred by a couple of retirements and a couple of lackluster finishes in the second half of the field. It’s clear that HWA has to step up its game before next year when they’ll be running a Mercedes-developed car built by Spark. By comparison, Audi is fairing a whole lot better: Lucas Di Grassi won the most recent round in Mexico making it four different winners (from four different rounds) in four races. The results in the previous three rounds of the 2018/2019 season were as follow: In Ad Diriyah, Antonio Felix Da Costa won for BMW i Andretti Motorsport, in Marrakesh, Belgium’s Jerome d’Ambrosio came first driving for Mahindra Racing, and in Santiago de Chile, Envision Virgin Racing’s Sam Bird was on the top of the pile. 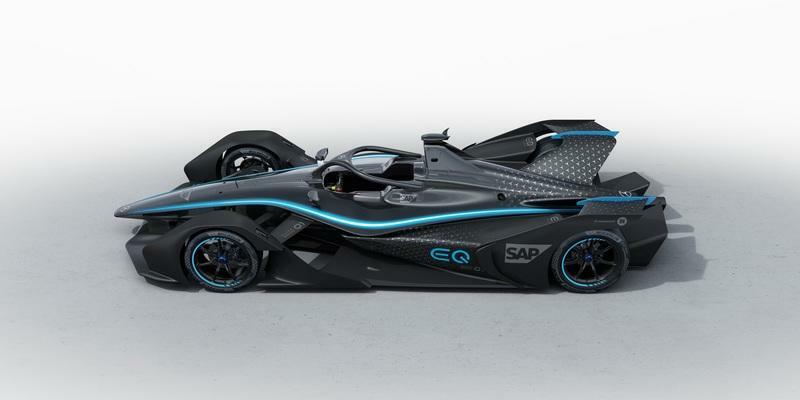 As I said, the design itself is nothing new, all Generation 2 Formula E cars look the same: an elongated nose, wings that blend with the fenders and no conventional rear wing in the back but, instead, two wings that start from the sides of the engine cover and extend outwards to meet the heightened rear fenders. Everything looks a lot more elaborate on the Generation 2 cars and this is very much the case as now the cars are a little bit faster, can go a full race on a single charge of the batter - so no more mid-race pit stop to change cars -, and, as such, aerodynamics are more important than before. In the front, the sloping nose is a nice home for Mercedes’ very own three-pointed star. On either side of the nose, two blow strakes traverse towards the rear, following the outer edges of the monocoque. As they reach the area of the cockpit, they are wide enough to feature a central white core mimicking a ball of lightning. 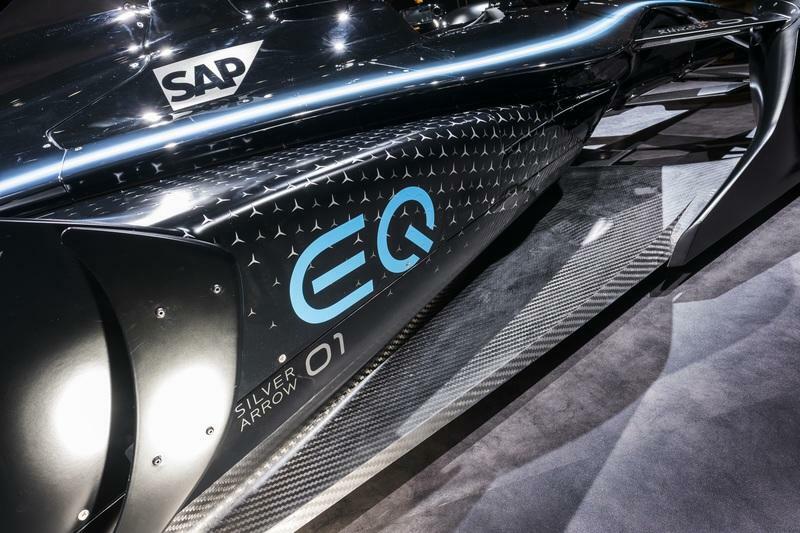 The sidepods feature the name of the car, EQ Silver Arrow 01, written with gray letters while the EQ nameplate is written with blue letters, the same colors as the stripes across the top of the bodywork. The car’s name on the sidepods is surrounded by three-point stars that float around without the typical circle that encloses it to form the legendary Mercedes-Benz logo. These three-point stars abound towards the rear of the car, on the hump of the engine cover. "Blue accents and the subtle contrast between matt and gloss in conjunction with the star pattern at the rear of the vehicle stage the progressive luxury in electric motorsport,” is how Gorden Wagener, Chief Design Officer of Daimler AG described the choice of livery. These blue accents are present on the lip of the seven-spoke black alloys. The car’s front fenders narrow down towards the front where they are connected with the wing that has an additional horizontal winglet on top connected to the large endplates. The setup is very simple in comparison to the (still very) complicated wings found in F1 and, also, the quite complicated multi-layer wings in IndyCar. The front part of the fender is connected to the nose cone and, as such, can be removed in its entirety in the case of a crash. The rest of the wing connects with the front part by virtue of a safety latch. The second half of the wing is connected to the car’s chassis and the protruding barge boards. With both the front and the back wheels covered by fenders, although the fenders in the back don't extend all the way to fully enclose the wheels, you could argue the Generation 2 FE cars are no longer open-wheelers. They now resemble the kind of cars you’d find in the Interserie championship that was organized in Europe for decades. The series would, in its later years, welcome converted F1 cars as well as CART machines with the only visual constraint being that they had to have covers over the wheels so that they could pass as ’sports cars’. No roof was required, just like in FE and, obviously, there was no Halo back then. It’s worth pointing out since Mercedes-Benz will become the only manufacturer to compete in both Formula 1 and Formula E, that the F1 car is quite a lot bigger than the FE one. For instance, the F1 car is 78.74 inches wide, a whole nine inches wider. Also, in F1, according to the rulebook, "no part of the car can be more than 37.4 inches in height," but in FE the cars are almost 20 inches taller and, as you all know, the Halo device is also in F1. Finally, the F1 car is way loner, measuring at over 225 inches in length, +20 inches more than the FE machine. To put it into perspective, a 2019 Mercedes-Benz S-Class in long-wheelbase specification measures 206.5 inches. In other words, modern F1 cars are giants and that’s one of the reasons they look so ungainly. Just take a peek at a ’90s F1 car and you’ll get why the compact (but much more dangerous) package looks so good. The gorgeous Ferrari 641 measures from one end to the other just 175.6 inches - over 50 inches shorter! The interior of the Generation 2 FE car, also known as the Spark SRT05e, is almost identical between all the cars. With this being said, some manufacturers, who build their own chassis, put their own motors and gearboxes and other things, may equip the cockpits of their cars with extra paddles behind the wheel and, of course, the wheels may differ too depending on the driver’s preferences or the manufacturer or both. 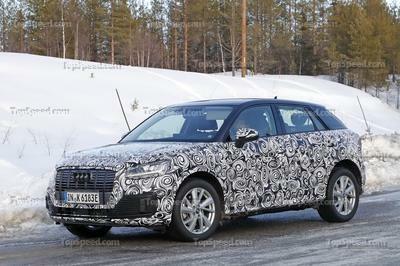 A quirk of the new Generation 2 car is the multi-functional Halo. Besides protecting the driver’s head in case of a roll-over or in case one car gets on top of another, the circular bar at the top also hosts powerful LED lights that let you know when the driver is in ’Attack Mode’ (that is when he sets free the car’s full might that’s only available for short bursts) and FanBoost is on. FanBoost is the series’ system that encourages fans to actively get involved (or so it is touted) in the outcome of a race by voting their favorite drivers on a race-by-race basis. In short, the first three drivers with the biggest amount of votes from the fans get the FanBoost, an added boost on top of what the car usually has to offer. You can compare it to F1’s DRS system or the similar ’Push to Pass’ gimmick in IndyCar although it’s not aero-related. To keep things close, each OEM (or customer team) can’t modify everything that’s part of the FE car’s package. For instance, the chassis is a no-go area in terms of research & development and so is the battery pack. However, teams can develop their own suspension parts, electric motors (within the parameters drawn out by Alejandro Agag's tech people), and gearboxes. And that’s exactly what all the big boys are doing. 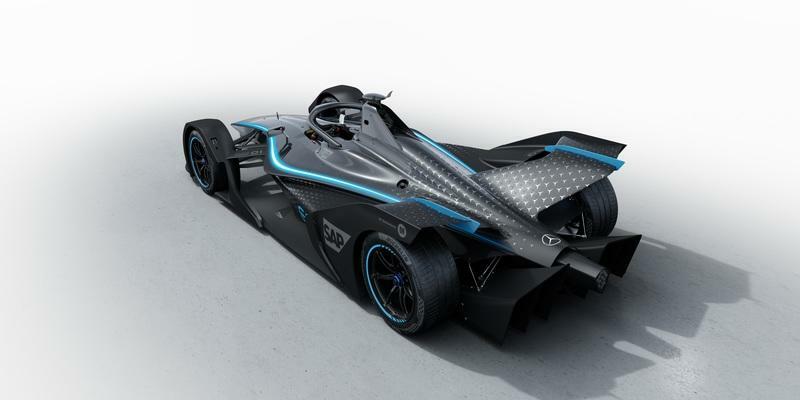 Jaguar, for example, "had complete control over quality, packaging, design and final delivery of items, so we had a higher degree of freedom to ensure maximum efficiency," said James Barclay, Team Director of Panasonic Jaguar Racing quoted by Wired. This is also what Mercedes will do because, after all, this program is put in place to exhibit the performance of Mercedes’ EQ line of EVs. Racing, as we know, is the ultimate test and this doesn’t change when it comes to cars that lack an ICE. The motor developed by Jaguar can rev to about 33,000 rpm. "We are looking forward to the challenge of demonstrating the performance of our intelligent battery-electric drives in motorsport," said Toto Wolff, Head of Mercedes-Benz Motorsport. Indeed, FE is a big challenge and Mercedes-Benz will fight in the sixth season of the electrified phenomenon against some of the biggest name in the business, manufacturers it also tries to surpass on the road: Audi (who left the FIA WEC to run in FE), Porsche (who also quit the FIA WEC), Jaguar, and BMW. The latter showed everyone how to not obey the first rule in motorsport: don’t take your team-mate out. Actually, the whole Ad Diriyah weekend was action-packed as Motorsport.com reports: "Reigning champion Jean-Eric Vergne lost a nailed-on race win due to a drive-through penalty for gaining a power advantage during braking regeneration, exceeding the level specified by the FIA software implementation guide." What is more, "Audi (and customer Virgin) cars were also penalized for power spikes caused by a bump on the track." These teething issues are, however, a thing of the past now and we’re looking forward to a four-year lifespan of these sci-fi-looking Generation 2 cars. 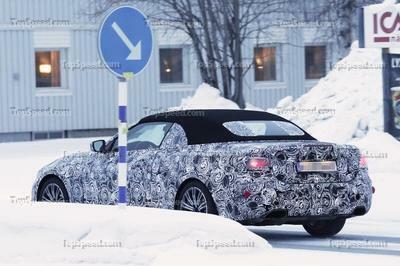 All cars hide under all the aerodynamic pizzazz a Spark-developed carbon fiber monocoque chassis that can’t be changed. The 54 kWh battery pack developed by McLaren that offers enough energy to power the cars for at least 39 laps (or about as many laps as an FE car will cover in a 45-minute race) is also standard across the board. 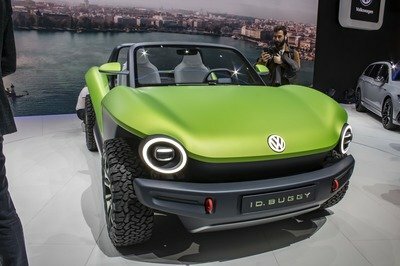 However, the electric motors, the transmission, some suspension and steering parts as well as other drivetrain-related elements can be bespoke. The Generation 2 car has a max output of 335 horsepower that can be used during the race via the FanBoos system. Through the Attack Mode, up to 301 horsepower can be sent to the wheels. Otherwise, during the race, each driver has to contend with no more than 270 horsepower that has to move the 1,984-pound car (849 pounds of which is the battery pack). Although the car weighs almost 400 pounds more than an early Lotus Elise, it can go from naught to 62 mph in just 2.8 seconds en route to a top speed of about 174 mph. Despite this, the twisty nature of all of the city circuits in the calendar forces teams to adopt shorter gear ratios that limit top speed to no more than 150 mph, most of them running with a final gear that takes you to about 143 mph. The brake-by-wire system is wholly developed by Brembo and, like F1’s KERS, energy is being recuperated under braking. The result of this is that we’re seeing more lockups as drivers brake as late as they dare in an attempt to replenish some energy. We probably will never get the full insight on the specific drivetrains hidden underneath the spec bodies entered by the big manufacturers but what’s clear is that budgets will never reach the levels of F1 or even the LMP1-Hybrid class in the FIA WEC that required a manufacturer to spend some $230 million for a full season with a pair of cars entered. In any case, it’s amazing to see the speed at which the electric technology is advancing. In FE’s first season, cars couldn’t surpass 137 mph and the battery pack could barely keep them going for 17 laps. The Mercedes-Benz EQ team will face stout competition from all the teams in the series although some will rise as favorites. Expect the BMW i Andretti team to be up there next season as well and never count out Porsche (although it’ll be in its first season), Audi ABT, and Mahindra. From the semi-works teams, you have to consider Techeetah (partner of DS/Citroen) who gave last season’s champion and Virgin. In the end, it all comes down to who can nail down the best strategy in both qualifying and the race. Most likely, the best-funded teams will be quite evenly matched in terms of drivetrain development in terms of their ability to extract the maximum amount of oomph, but it will still be interesting how those motors will operate and who will have an advantage where. For reference, a Generation 2 FE car costs about $926,000 (up from just under $400,000 for a car ahead of the opening season). The fact that Mercedes-Benz decided to commit to Formula E while also supporting Formula 1 is a clear sign that major OEMs are very interested in flexing their electric muscles on a global stage where they can beat rivaling manufacturers. We knew Mercedes’ arrival was going to happen, although it will take place in full capacity a year later than anticipated, it’s still great news for the series. 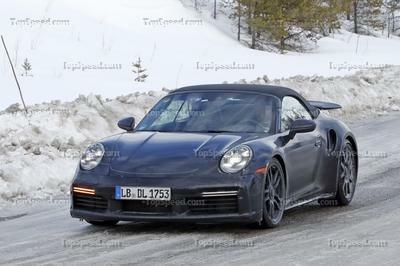 With Porsche also on board, it’s bound to be fun, granted the tracks are still lackluster at best. 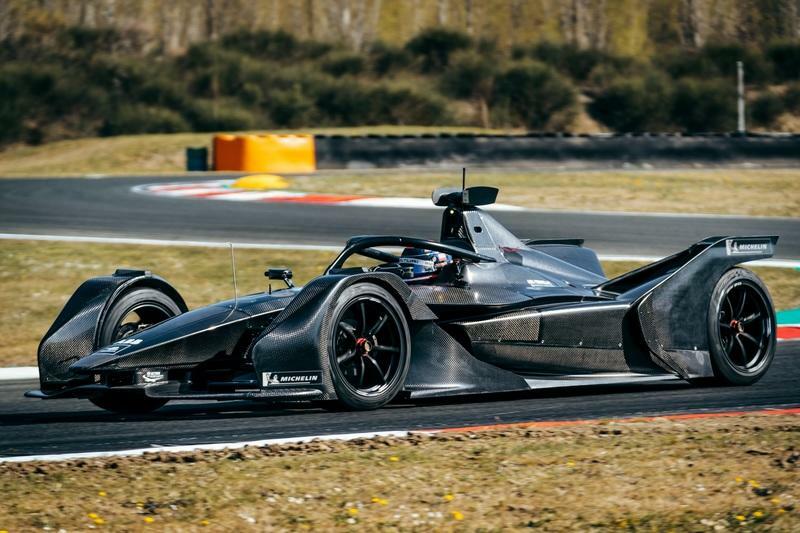 I look forward to, maybe, the Generation 3 cars that will be able to drive flat-out on proper road courses although I get that street courses are part of the business scheme of the series to bring car racing closer to the people and, at the same time, showcase this zero-emission future. I mean you’ll never create as much buzz if you bring the cars to Circuit of the Americas as you do when you close off some avenues and create a track in the heart of New York City. Updated 03/21/2019: We’ve updated this review with fresh images of the 2019 Mercedes-Benz EQ Silver Arrow 01 that were taken during the 2019 Geneva Motor Show. Check them out in the gallery at the bottom of this page!